Host and manage unlimited websites using the WHM control panel. Give your clients full control over their web hosting account with the user-friendly cPanel. Give your clients the ability to install hundreds of apps including WordPress, Joomla and more. 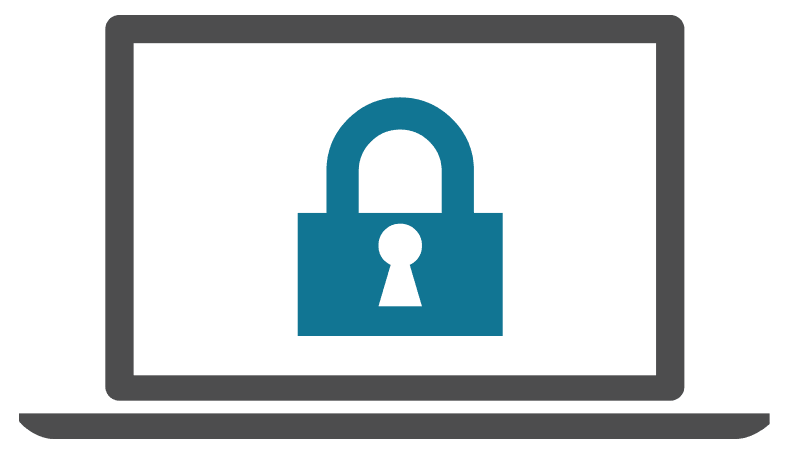 Offer your clients free SSL certificates! The cheapest and most reliable Reseller Hosting Plans for your business! Inspedium brings you the best reseller hosting in Pakistan! All of Inspedium’s reseller web hosting plans have been designed to be the perfect fit for your business. Whether you are a freelance web designer, IT firm or simply want to start a business reselling web hosting services, you will have the power, security and features to take your business to the next level! Our white-label reseller hosting enables you to start your very own web hosting company without the infrastructure investment. All our reseller plans are carefully priced to give you the best value for your money. *Lowest Price available for a 3 Year Signup Term. ***Automated Backups for your reseller hosting account is available as a paid add-on. We do not put limits on your success. You can offer an unlimited number of web hosting accounts using your reseller account. This gives you ample room to grow your web hosting business! At Inspedium, reseller hosting accounts are truly white-label! We offer you your very own nameservers and your very own IP address which your resold accounts share. This makes it super easy to offer web hosting services under your very own brand! Your business, your brand, your success! All your web hosting clients get access to 350+ 1-click-install web applications, including WordPress, Joomla and other essential small business tools. Offer your clients top-notch service right out of the box! No more logging into different control panels! You can easily manage all your clients and their web hosting accounts using one single WHM control panel. Your clients can manage their own web and email accounts from their very own cPanel! Your web hosting clients can now take full advantage of our partnership with CloudFlare! Free CDN access enables all your resold websites to operate with superior performance. Using our fast servers with the CloudFlare content delivery network, you can offer a significant performance boost to your clients! Using our low density, super premium servers, your resold websites will definitely out-perform your competition. Google favours fast loading websites and with Inspedium, it is now possible to offer your clients the speed which will surely make Google take notice! Your reseller hosting account is always provisioned on blacklist free IPs. Unlike other reseller hosting providers, we take great care of our IPs for you. We regularly scan them to make sure any IPs that are blacklisted are removed & cleaned before being provisioned. This means seamless email communications for your clients. Make your clients love your service! Automatic real-time scans for all files uploaded to our servers, helps keep your clients’ websites safe from malware and viruses. In addition to real-time scans, your resold hosting accounts are scanned daily to further ensure the integrity of your all web hosting accounts hosted by you! Offer your clients the peace of mind they deserve! Offer free SSL certificates with every web hosting plan! SSL helps ensure that data transmission from and to your clients’ websites is safe and secure. Your hosted clients and their web visitors feel confident in their communications and you end up offering a Grade-A service for free, boosting client satisfaction. A great win-win for you and your clients! Give your clients the power to restore previous versions of their websites in case of mistakes or unforeseen events. This is another great service which you put you far ahead of your competitors! Available as an add-on with all reseller hosting plans. Ensure your resold websites are available when it matters most – we guarantee 99.9% uptime on all of our plans to keep your business up and running at all times! We worry about security, so you or your clients don’t have to! With the best reseller hosting in Pakistan, both you and your clients can rest assured that your web hosting accounts are protected by some of the most powerful security solutions on the market. Reseller hosting offers you the opportunity to set up your own web hosting business under your own brand name. When you sign up for a reseller hosting account, you purchase an amount of disk space and bandwidth. You may then create web hosting accounts for your own clients. You choose the account limits, space, and price you want to offer your clients. You are in full control! If you are a web developer, you can host all of your own websites under one reseller account. You can sell web hosting services to your own clients. You can give web hosting accounts away to friends and family. A reseller account works in a number of different scenarios. With reseller hosting, you can operate your own web hosting business without investing in expensive infrastructure, servers, bandwidth, and IT staff. It’s a great way to make a profit without the risks! The Web Host Manager (WHM) which allows you to create and manage your client accounts. Your client’s cPanel which allows them to create and/or manage their websites and email with ease. Your clients will be responsible for setting up their own websites and email and for managing their own accounts, which they may do through their cPanel control panel. How many domains can I host in one reseller account? You can host an unlimited number of domains, for as many clients as you would like. The only limitation is the amount of disk space and bandwidth available in your reseller hosting account. Account sizes and limits the web hosting accounts you create will be up to you to manage. Will the Inspedium brand be visible to my clients? You can add your own branding and position yourself as your own web hosting service provider. In fact, your clients need never know that you are an Inspedium customer. We even provide you with a dedicated IP address and the ability to have us setup your very own DNS servers for you. To setup your own DNS servers, you only need to contact us via phone or email! If my client has a problem, whom do they contact? As a reseller, you provide support for your clients. Since it is your business, you are responsible for all communications between yourself and your web hosting clients. Of course, Inspedium support is available to support you! You may contact us any time for high-level technical or server issues. Inspedium is responsible for providing you with the disk space, bandwidth, and features you need to resell, and we are always happy to help you in any way we can! You are responsible for collecting payments from your own clients. Of course! You can upgrade your reseller hosting plan at any time, with no downtime. Simply open a support ticket through your the Inspedium Client Area or email us at [email protected] with your request! With Inspedium’s Reseller Hosting accounts, you have all the flexibility you need. You can choose to either handle all domain name registrations yourself, or buy domain names from us at a very discounted price.